Best Podcast Apps for Android lets you to search, subscribe, download and stream podcasts. Listen or view your favorites podcasts on your Android easily using these robust Android Apps listed on this Best Podcast Apps for Android Apps list. You can type or copy any name of the Apps listed in this list of Best Podcast Apps for Android Apps and search it in Play using the Search function. BeyondPod Podcast Manager : Read RSS feeds, download, listen and watch podcasts directly on your phone. Full featured Podcast Manager (podcatcher) and RSS feed reader. Listen : Listen lets you search. subscribe, download, and stream podcasts. Listen lets you search. subscribe, download, and stream podcasts. DoggCatcher Podcast Player : Find, manage, and play your podcasts with DoggCatcher Manage your podcasts and RSS/news feeds with the most highly rated Podcatcher in the Market. PodKast : Listen or view your favorites podcasts on your Android. PodKast lets you listen to your favorite audio and video podcats on the go. Pocket Casts : Simply add your favourite podcasts, and you’ll be able to stream or download new episodes as they become available. 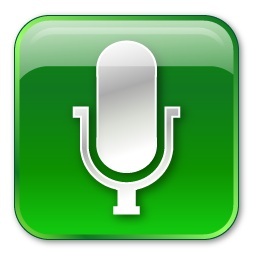 tPodcast Lite : tPodcast is the software that plays audio and video from podcast. eSobi Mobile : eSobi Mobile – News Reader, Podcast Reader, Channel Watch, Playlist, and Library; let everyone enjoy, manage, and share their favorite news, podcast, and personal contents via mobile device. PodTrapper Podcast Manager : PodTrapper, the award winning podcatcher, now on Android. We hope you can enjoy some of these Best Podcast Apps for Android Apps. This Article Has Been Shared 7918 Times! Cite this article as: Abhishek Ghosh, "Best Podcast Apps for Android Apps," in The Customize Windows, May 17, 2012, April 21, 2019, https://thecustomizewindows.com/2012/05/best-podcast-apps-for-android-apps/.